Be hands-on, be a problem solver, be nice. 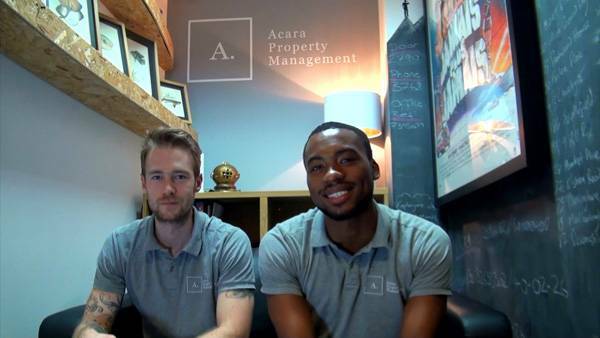 Our business is as much about people management as it is property management. We’re a service industry and the people we serve are landlords and tenants. We do have a tricky path to tread because we ultimately act for and are paid by our client – the landlord, but act as a middleman between a landlord and tenant, who often have a different opinion on what should be done and what is reasonable. They are on different sides of a contract. We also have to take an objective position sometimes and advise on the legal requirements of both parties and act as a mediator in the case of a dispute. Most property contractual arrangements attract representations for both sides. But unless a tenant is being relocated by a corporation who has appointed a relocation agent – the tenant isn’t represented. So this a difficult position for us. We’re pulled in two directions sometimes. There is a culture that exists in agency where property managers are treated with disdain and used as a scape goat. If the landlord wants to be gracious – the property manager is vicariously seen as gracious. If the landlord doesn’t want to give the tenant what he or she is asking for – the property manager is seen as difficult and obstructive. Equally if the tenant asks for too much, is combative or irresponsible – again the property manager can be the target in the eyes of the landlord for not handling the situation better. We accept that given our position, we are going to struggle to to be liked by everyone all the time. But our challenge is to reduce the % of all that deal with us who hold a negative view to the absolute minimum. So how to we tackle this? It seems an obvious point, but there is traditionally too much beating around the bush and worrying about red tape or process. And this can escalate quickly and lead to bad feeling and frustration on all sides. We talk between ourselves in the office, and we discuss what is going to solve a problem, make an action plan and get on with it. 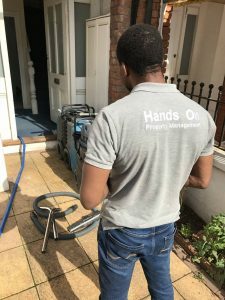 This often involves us going way above the call of duty – going out after hours and doing some emergency fixing, taking portable heaters to a flat, doing some extra last minute cleaning etc. If we have an issue we stop and ask ourselves – are solving the problem or are we delaying it? The quicker and more efficiently we solve a problem, the less complaints there are and the more the business grows. The greater we are respected by our landlords and tenants, and the more patient they will be with us. This takes sacrifice – but there is reward and satisfaction in that. Number 3 – be nice. All too easily forgotten but crucial. You can be firm, you can object, you can disagree. But do it whilst being nice. That is all.